Welcome to my blog. 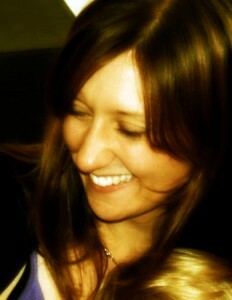 My name is Kate and I’m a married mum of two tiny tearaways (Lil Man, born August 2008 and Lil Miss, born October 2009). I was, once upon a time, a (not so high flying) professional. The profession is not now important, which is weird considering that I spent a massive chunk of my adult life studying for it. Amazing how much life changes once you arrive in the world of parenthood, huh? My current professional title is ‘Executive Nose Wiper’. My me time is now spent lovingly providing Reiki, Reflexology and Indian Head Massage treatments in our own little centre of peace and fulfilling orders for our online crystals shop. I’m also an aspiring web geek (well mostly Twitter, Pinterest and Instagram addict, and yes that absolutely counts!) I still have quite a bit to learn about the very technical stuff, but I do spend some of my time writing web content and working on SEO projects. However, while that might tell you a little about what I do, it doesn’t tell you who I am……. Well, what I can tell you is, aside from my motherly and wifely skills, I am a reformed perfectionist (you might even notice some spelling mistakes in this here blog and yes, they are ALL deliberate), a baker of cakes (and an even better eater of them), an expert chaser of children (two very fast but gorgeous ones), a lover of dogs (of one very daft but silky soft cocker spaniel in particular), and a pursuer of some sort of work/life balance (I’m still working on this one…..a lot). And the rest? Well, you’ll have to keep reading!